Growing hops at home is a common past time of the homebrewer. 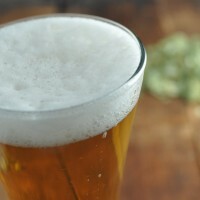 It’s a great way to be more hands on with your homebrew, to supplement some of the hops needed in your beers, and to open up the opportunity to easily brew fresh and wet hopped beers. After harvest, drying is a crucial step in preparing your homegrown hops for storage. 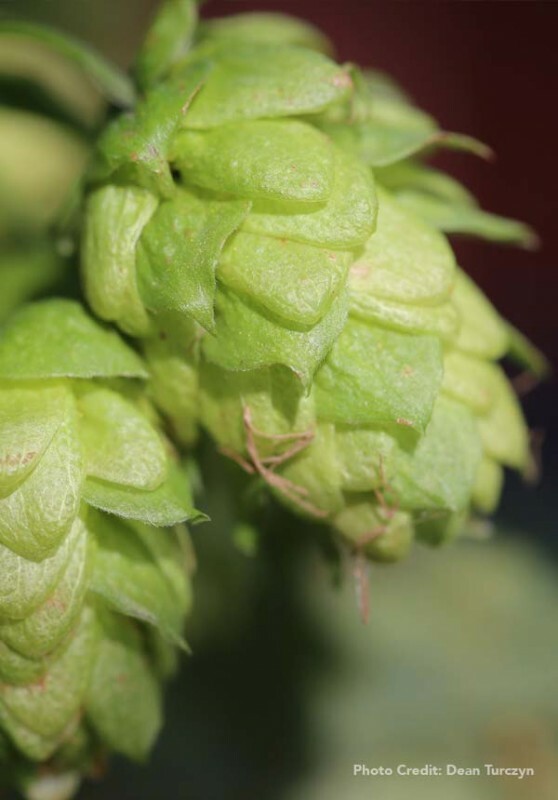 A hop oast is essentially a screen that hops are placed on to allow speedy drying. 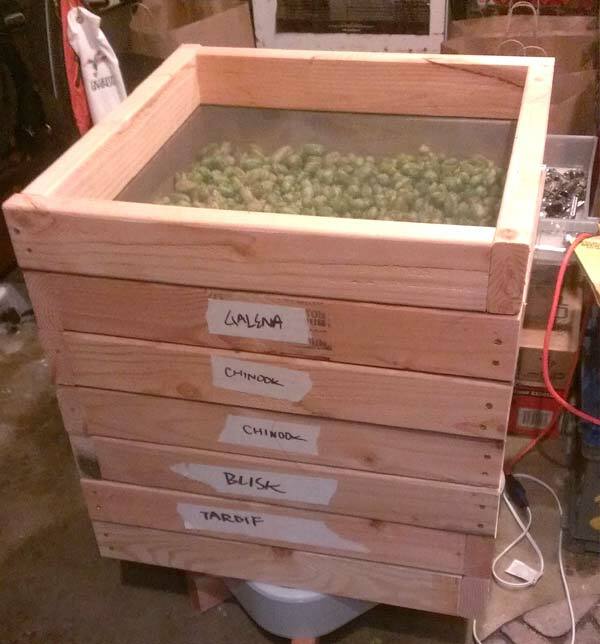 In this article, we’ll show you how to easily build your own hop oast. 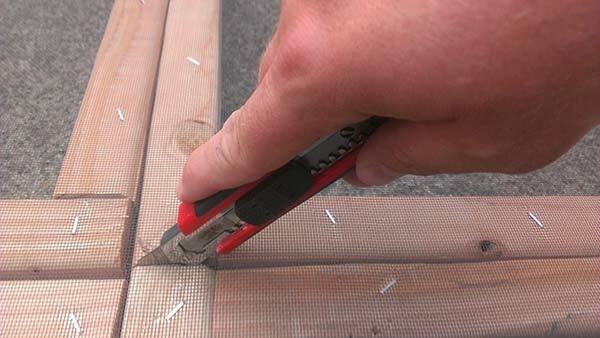 Begin by cutting each board into 4 – 23″ pieces (keep the scraps). I just had the guy at Lowes do this for me. 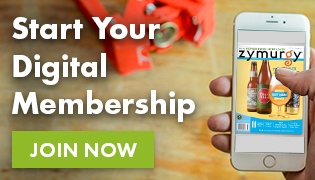 Take each of the pieces and begin screwing them together using two screws to each joint. Align each joint so that they are flush on top and bottom, and that the end of one board is flush with the side of the next at a 90° angle. Don’t go overboard to insure a perfect angle as it will self align when you make the last connection. Once you have all four corners drilled together, set the tray aside. Repeat this until all seven trays are built. After you have all seven trays built, set one aside. Place the others together two wide, and three tall on a flat surface. I did this on my driveway. Once they are flush and straight, roll the screen out over the top of them. 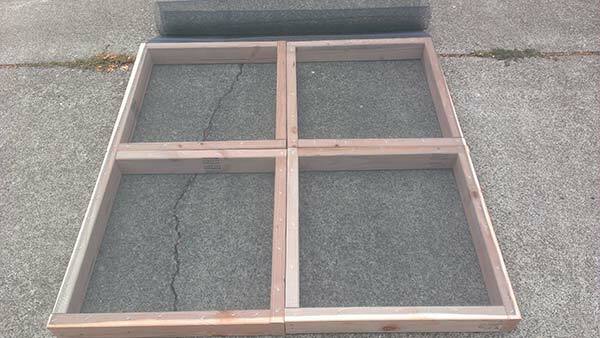 The 48″ width should be a perfect fit across two trays, and the 7′ should easily cover the three trays up. Once you have the screen spread over, use the staple gun to attach it to the corners, then work your way around all of the trays along every side rail and every corner until each tray is fully attached to the screen. Now take your box knife and insert the blade between two trays through the screen and cut along the separation until all the trays are cut apart. You will have a little hangover from the edges, feel free to clean them up with your box knife, I just left mine for now (more important to get the hops dry when you build this after the bines have been cut down). 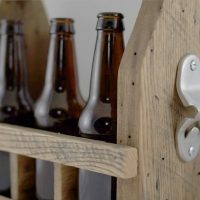 It would be good to glue along the inside edge and allow it to dry to seal the trays from allowing hops to get stuck between the screen and box frame, and it will make cleaning easier after you are done with them. After they are separated, take the small scrap pieces and use them to raise a box fan off of the ground a few inches. This will give you air flow to go up and through your hops. You will want to pick a place where there will be some heat, air flow for the humidity to escape, and that is not in direct sunlight. I used my garage and put a space heater next to it to blow under the fan since we had a cold front hit when I got the hops picked. I didn’t let it run unattended. I only did this on the weekend while I was home as I did not trust the space heater to run while I wasn’t home or while asleep. Place the screenless tray on top of the box fan as a diamond for use as a base. If your box fan is large enough, you can stack it on top at the same angle as the box fan edges, but for mine, it worked perfect to turn it slightly so that it became a diamond to the square fan, creating an eight pointed star if outlined. This empty tray with no screen allows a little extra flow for the fan so it isn’t blowing directly against the screen and hop bed which may cause it to overheat. At this point, you should pick your hops into sacks and weigh them. It is always more fun to have a helper. Place a single variety into a single (screened) tray. Once your tray is full (about 1/3 up the side), set it on top of the base tray over the fan so that the tray edges align perfectly over each other. Continue to pick your hops, fill your trays and stack them up. Leave one of the trays empty to the side. I used a piece of masking tape to mark each tray to know which variety was in which tray. Next year, I may just add a plastic sleeve to the side and make up cards with the names of the varieties I grow to sort them that way (it will look much nicer). Once your trays are filled with hops, place the last empty tray on top. This tray’s screen will keep things from falling into your hops, and keep the stray hop leaves in place to make clean up a little easier. At this point, turn on your fan to medium. Low will take longer, and high would be faster, but you don’t want to have it so high that you end up blowing any of the lupulin out of the hops. Leave the hops to dry for a few days, gently fluffing them up every 12 hours or so to ensure even drying. I also swapped trays out so that the bottom trays became middle trays, top became bottom and middle became top. I continued this rotation whenever I fluffed them. They say that the hops should be about 20 percent the weight they were when you picked them. If you got one pound of hops, you should have around 3-3.5oz of dried hops. Another telling sign is that when you take a hop cone and bend it in half the strig in the middle should snap clean. If if bends and moves back then they are still too moist. Justin Bruce has been brewing to his own tune for more than four years after receiving his first basic equipment kit for his birthday from his wife. Beginning in late 2010 with an extract kit, he moved quickly into designing his own recipes which have won multiple awards including a “Best of Show.” In 2014 he won “Brewer of the Year” for the Cascade Brewers Society Homebrew Club. 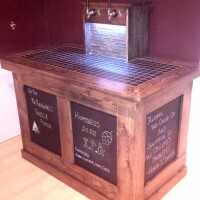 A father of two boys, Justin likes to have his boys help out with brewing when ever possible. He is even making family engagement a large part of the vision for the production brewery he is planning to open in his home town of Eugene, Ore.